The coalition of Kwara Likeminds Political Parties (KLPP) has expressed their readiness to pick a consensus governorship candidate for 2019 general elections. KLPP disclosed this in a statement jointly signed by its Chairman who doubles as Democratic People’s Party (DPP) State Chairman, Prophet Maxwell Emmanuel and Secretary, Oladele Oluseun Sunday of the United Democratic Party (UDP). Some of the political parties in the coalition include the African Democratic Congress, ADC, Unity Party of Nigeria, UPN, Restoration Party, RP and Alliance National Party, ANP. Others include The Independent Democrats, ID, Better NigeriaProgressive Party, BNPP, People’s National Congress, PNC, Young Democratic Party, YDP, Young Progressive Party, YPP, and Democratic Alternative, DA. “We formed this coalition-Kwara Likeminds Political Parties (KLPP) to ensure emergence of a credible, competent and reliable governor that has capacity to bring meaningful development to the state, if elected in the 2019 general elections. “Currently 25 of the 31 political parties that obtained governorship nomination forms in Kwara at Independent National Electoral Commission (INEC) are part of KLPP. “We are planning to select a consensus candidate to face other parties at the poll. KLPP will pick the consensus governorship candidate in a fair, transparent and credible process acceptable to all parties as well as their candidates. “Consultation is ongoing among party leaders and other stakeholders to make the process hitch-free ahead of next year’s general elections. The Coalition expressed optimism that the next Kwara governor will emerge from their platform. 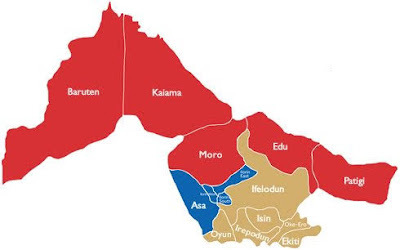 The KLPP Chairman hinted that efforts are underway to meet some governorship candidates to encourage them to support the coalition in the interest of the state.